Continuously engaging the public with strong capacity is key to urban governance and sustainable development. Photo by Dante Busquets/Flickr. The official launch of the Environmental Democracy Index (EDI) yesterday marked a major milestone for urban governance worldwide. Developed by the Access Initiative and World Resources Institute, EDI looks at environmental decision making at the national level and evaluates countries based on three factors: transparency, access to justice, and citizen engagement. These elements are important aspects of governance as a whole. While significant in its depth of analysis and geographic scope, EDI currently focuses at a level that may seem distant from citizens living in cities and towns throughout these countries. The platform highlights essential actions for environmental democracy and governance at a nation level, but also suggests ways for improving governance processes in cities. Linking these national-level procedural rights to realities at the local level is essential for sustainable development. What does governance mean to these citizens? How does governance work at a local level and how can it improve quality of life and make cities more sustainable? Urban governance is about building cities that are inclusive and accountable to their citizens. Recognizing and strengthening the relationships between various stakeholders—including citizens, civil society organizations, elected officials, and the public and private sectors—is critical to changing how cities are governed. These actors comprise the urban governance community and how they interact plays a vital role in making cities more sustainable. Moving forward, it will take engagement, continuity, and capacity to strengthen this community and ensure that cities are governed equitably and inclusively. One key aspect of urban governance is engaging and involving the greater urban governance community in planning and development. Furthermore, ensuring sustainability requires engaging citizens and holding local officials accountable. This means that citizens have procedural rights, such as access to information, the ability to meaningfully participate in decision making processes, and the ability to demand enforcement of those rights. Getting citizens engaged and participating in local decision making does not alone lead to sustainable urban practices. However, informal and formal structures for citizen engagement and participation—like petitions, “See Click Fix”, or public hearings—can help create an environment in which priorities and objectives for sustainable urban development can be set with input from the very people who will be impacted by the success or failure of local decisions. Many cities and countries often experience a lack of continuity when it comes to decision making about urban development. For example, elected officials often face term limits and, as a result, prefer easily-implementable projects. However, sustainable urban development is a continuous process and is not confined to the four or five year terms common across many city governments. 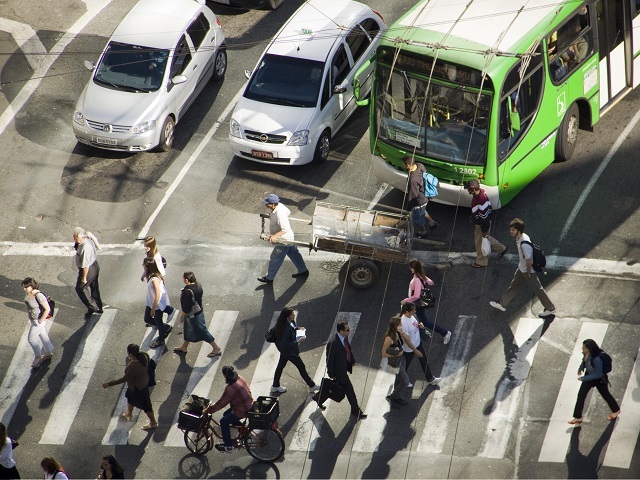 Improving urban governance can help cities overcome these challenges. In particular, keeping citizens, civil society organizations, and the private sector active in decision making processes and supporting them with the appropriate procedural rights can provide this continuity across elections. Furthermore, doing so allows them to act as a “knowledge management” provider—a resource for local context and knowledge. Engagement and continuity are key aspects of urban governance, but the success of a policy or project also hinges on the capacity of local governments to implement, develop, and maintain projects well. Typically, cities are responsible for providing a range of services, including public transportation, secure energy, waste management, and clean water. Hiring staff, making planning decisions, interacting with citizens, raising money, collecting taxes, and negotiating contracts require substantial capacity so that cities can function sustainably. Ensuring that cities have adequate institutional capacity is absolutely vital to improving quality of life for urban residents and reducing environmental impact. Genuine sustainability at the local level can only come from inclusive and accountable governance processes. Engagement, continuity, and capacity are three key components of ensuring sustainable urban development that is responsive to the needs of local communities.